At one point “Billy Jean” came on the stereo, and I confessed that I knew the entire dance by heart. Junie, who is pictured to the left, also knew it by heart. 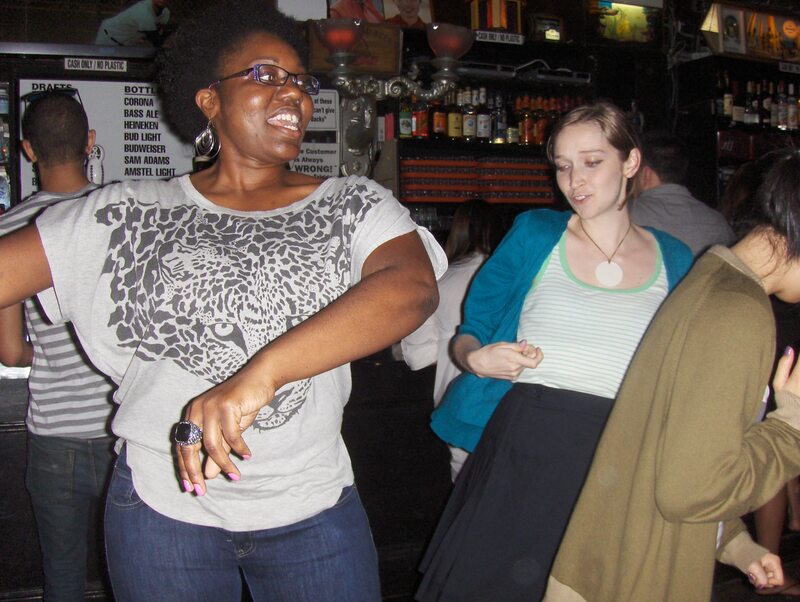 We cleared some room in the bar and bust out our moves. Unfortunately Fortunately, someone grabbed my camera and documented the entire thing. Oddly enough, this is the least embarrassing picture of the bunch.